What role does religion play in shaping our attitude towards the animal world? One answer was proposed in 1967 by UCLA History Professor Lynn White, Jr., who wrote an article entitled, "The Historical Roots of Our Ecological Crisis" (Science 155, 1967). In this article, he said that the Western world's attitudes towards animals and nature were shaped by the Judeo-Christian tradition (he also included Islam and Marxism within this overall tradition). This tradition, White wrote, involved the concept of a world created solely for the benefit of man: "God planned all of creation explicitly for man's benefit and rule: no item in the physical creation had any purpose save to serve man's purposes." Along with this, Western Christianity separated humans from nature. In older religious traditions, humans were seen as part of nature, rather than the ruler of nature. And in animistic religions, there was believed to be a spirit in every tree, mountain or spring, and all had to be respected. In contrast with paganism and Eastern religions, Christianity "not only established a dualism of man and nature but also insisted that it is God's will that man exploit nature for his proper ends." White noted that Christianity was a complex faith, and different branches of it differ in their outlook. But in general, he proposed that Christianity, and Western civilization as a whole, held a view of nature that separated humans from the rest of the natural world, and encouraged exploitation of it for our own ends. The emergence of Christianity, many, like White believe, marked the moment humans broke away from previously common held beliefs that all beings, all forms of life, including plants, had spirits (or souls). "In Antiquity every tree, every spring, every stream, every hill had its own genius loci, its guardian spirit," he wrote. And Christianity changed all that, he believed. Man was created in God's image, Christians believed, and notably Man was created at the end of Creation and humans therefore inherited the Earth. "By destroying pagan animism," White wrote, "Christianity made it possible to exploit nature in a mood of indifference to the feelings of natural objects." There has been much discussion on Lynn White’s articles but in general these questionable ideologies are responsible, at least in part, for the phenomenal cruelty towards animals we see in the modern world. Also this misleading religious view has influenced other disciplines like science, ethics, economics, education and public policy. How religion influences our dealing with animals and natural world can be seen from the example of Bishnoism. It is a subsect of vedic religion which originated in the desert of Rajasthan, India, in the 15th century. Bishnoism emphasizes living in complete harmony with our natural world. It teaches love, peace, kindness, simple life, honesty, compassion and forgiveness. Living in the inhospitable desert terrain, Bishnois have been fiercely protecting the forests and wild life in their area to follow the teachings of their Guru Jambheshwarji. For Bishnois, caring for God’s creation is their prime dharma or duty. Time to time, their faith was tested by rulers, poachers and others, but Bishnois always protected the nature, even at the cost of their lives. In 1730, 363 Bishnois were killed when they opposed cutting of Khejari trees. They hugged the trees and said, “sir santhe runkh rahe to bhi sasto jan”, which means that if a tree can be saved by sacrificing one’s head, even then its a good deal. These trees were being cut at the order of the king, Raja Abhay Singh. The firewood was required to burn lime stone for the construction of his palace. Even today these people will starve to feed other hungry creatures. Women will breast feed a wild animal calf if its mother dies. In Bishnoi communities, exotic wild animals roam freely. They fight with armed poachers to protect these animals. Bishnoism presents a sharp contrast to Western way of living with their utter disregard for nature and life in general. Communities like Bishnois, once scorned for being backward, will be hailed for teaching us a valuable lesson in harmonious living. The Jain tradition has existed in tandem with Vedic tradition in India since 800 BC. Jains developed their own sacred texts and follow the authority of itinerant monks and nuns who wander throughout India preaching the essential principles and practices of the faith. Jainism holds some interesting potential for ecological thinking, though its final goal transcends earthly concerns i.e., ascending to the realm above earth and heaven. At the core of Jain faith lies five vows that dictate the daily life of Jains. 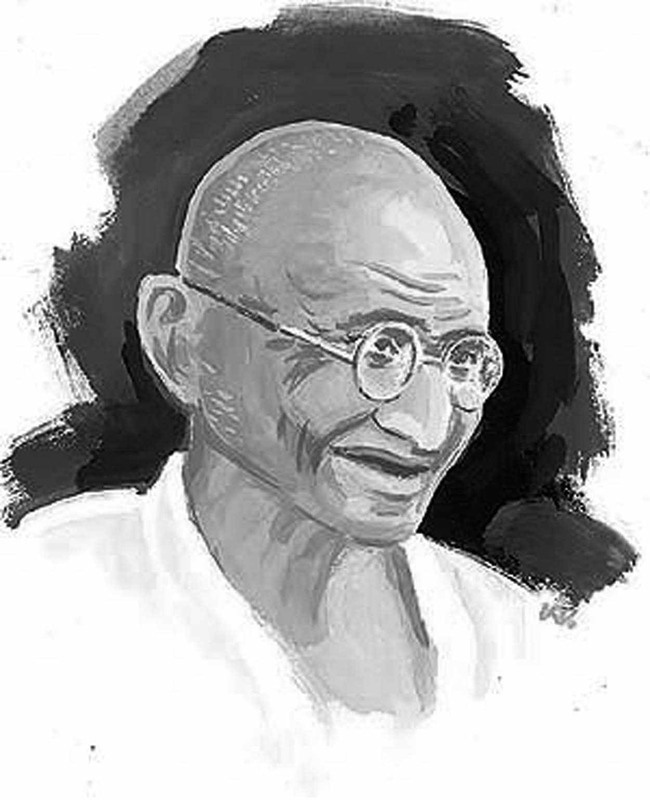 These five vows, which inspired and influenced Mahatma Gandhi, are nonviolence (ahimsa), truthfulness (satya), not stealing (asteya), sexual restraint (brahmacarya), and nonpossession (aparigraha). One adheres to these vows in order to minimize harm to all possible life-forms. For observant Jains, to hurt any being results in the thickening of one’s karma, obstructing advancement toward liberation. To reduce karma and prevent its further accrual, Jains avoid activities associated with violence and follow a vegetarian diet. The advanced monks and nuns will sweep their path to avoid harming insects and also work at not harming even one sensed beings such as bacteria and water. The worldview of the Jains might be characterized as a biocosmology due to their perception of the “livingness” of the world. Vedic tradition is also known as Sanatana or Bhagavata dharma. The humble sages, by virtue of true knowledge, see with equal vision a learned and gentle brahmana, a cow, an elephant, a dog and a dog-eater. We can quote a nice story from Skanda Purana illustrating the Vedic conception of compassion for all living creatures.